This topic contains 7 replies, has 5 voices, and was last updated by djrice 4 years, 9 months ago. I’m Dave and have put this little site together for the benefit of everyone! 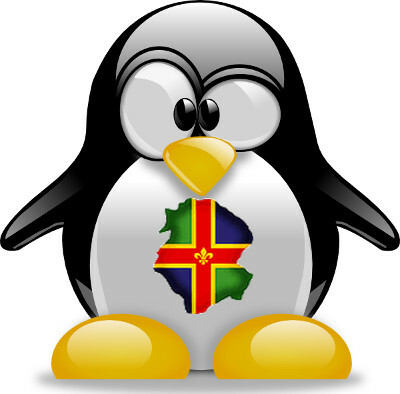 I’m in Ruskington and have been using Linux for donkey’s years! Let’s get the new LUG up and promoting Linux, especially with the death of XP next month! I moved from Windoze to Ubuntu in 1997 I think, and stuck with that until they moved to the Unity desktop, which I liked so much that I swapped to Debian. I stuck with Debian for a while, the only problem with that is that it seems to take ages for package updates to work their way through to the Stable release, so I tried Mint, which I really like, so far at least. I also have a few Raspberry Pi’s running Raspian, one controls by solar heating system. Server – Ubuntu 10.10 – I know it is unsupported now, I will get around to chaning it to Debian at some point. I don’t consider myself to be a programmer, but I have written stuff in many different languages over the years, Basic, Pascal, C, etc. Current favorite is Python. This reply was modified 5 years, 1 month ago by micksulley. I’m also a Mint user – great system. I’m Norman and another Mint user – Mint 16 with cinnamon although I was running ubuntu until I started having major problems with 13.10 and after installation of 14.04 the same problems which didn’t get sorted after 3 weeks. I shrunk /home and installed Mint alongside Ubuntu but kept the same /home and user name and have had no problems since which still seems odd seeing as Mint is based on Ubuntu. I started trying Linux when I had Win 95 on my HP 486. If I remember correctly it was Slackware with I think kernel 2.0.29 or there about. What a steep learning curve! It took me over a week of spare time reading to get networking set up. Suddenly I didn’t need to re-install the O/S every month because it trashed itself. I live on Bute off the west coast of Scotland but will be moving back to Lincolnshire once our house is sold. Oh just a thought maybe that currently makes me the most remote member, and, as I am 70 possibly the oldest too? looks like we have a wide age range joining up! Excellent! Just shows what a wide appeal Linux has. I use Mint 17 at the minute, I too had issues with ubuntu 14.04 – random crashes that I couldn’t nail down to report on. Sad, but Mint just seems to fly. I’m Gregg, a web designer and app designer from Lincoln but most of my work in Ruskington and Sleaford. I haven’t been a massive user in the past but over the last year I have fallen in love with mint. I am looking forward to talking with you all and hopefully you won’t mind but getting some ideas from you all. Welcome, I’m in Ruskington if you’re ever passing!